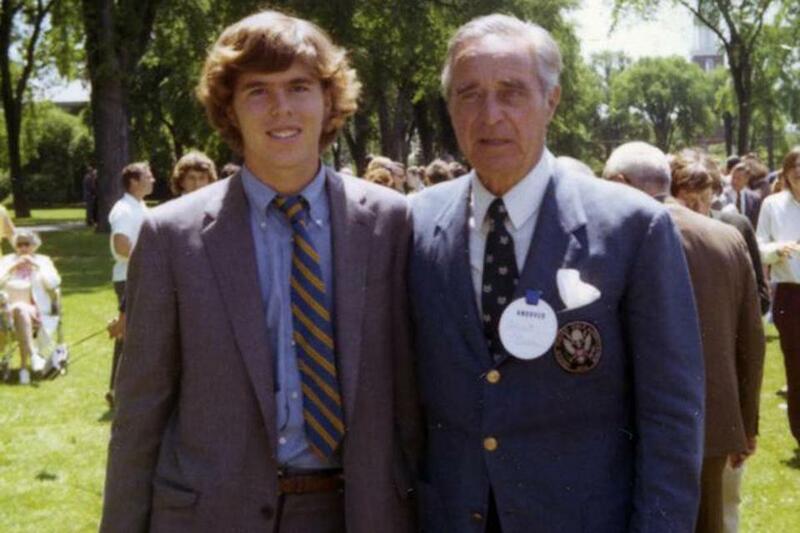 Jeb Bush and his grandfather, Prescott Bush, at Jeb’s graduation from Andover in June 1971. In the fall of 1967, when a 14-year-old Texan named John Ellis Bush arrived on the bucolic campus of Phillips Academy in Andover, great expectations preceded him. Jeb, as he was known, should have been an easy fit in that elite and ivied world. His much-accomplished father and his older brother had both gone to Andover; no one was surprised that Jeb had followed suit. But this Bush almost ran aground in those first, formative prep school days. He bore little resemblance to his father, a star on many fronts at Andover, and might have been an even worse student than brother George. Classmates said he smoked a notable amount of pot — as many did — and sometimes bullied smaller students. Resolutely apolitical despite his lineage, he refused to join the Progressive Andover Republicans club and often declined even to participate in informal bull sessions with classmates. In a tumultuous season in American life, he seemed to his peers strangely detached and indifferent. The former Fla. governor met with former Mitt Romney backers to raise money for his rapidly growing operation. Meanwhile, his grades were so poor that he was in danger of being expelled, which would have been a huge embarrassment to his father, a member of Congress and of the school’s board of trustees. Jeb Bush, in an interview for this story, recalled it as one of the most difficult times of his life, while acknowledging that he made it harder by initially breaking a series of rules. “I drank alcohol and I smoked marijuana when I was at Andover,” Bush said, both of which could have led to expulsion. “It was pretty common.” He said he had no recollection of bullying and said he was surprised to be perceived that way by some. If the school’s motto proved true — that “The End Depends on the Beginning” — then things weren’t beginning well for Jeb Bush; certainly it wasn’t the path one would expect of a future GOP presidential candidate, as he seems increasingly likely to be. It would take four years on the campus 24 miles north of Boston for Bush to straighten out. Indeed, for Bush, the story of Andover is how it ended — and it ended very well. But that hardly seemed possible when he traveled to Massachusetts in the fall of 1967. Jeb Bush was born in the West Texas oil town of Midland, where he lived for six years before moving to Houston, where he lived for the next seven years. It was a fine, comfortable family life. Poppy, as father George H.W. Bush was known, had been elected as a US representative in November of 1966, meaning the family would split time between Texas and Washington. Jeb’s life was to change, too. Per family tradition — set by George H.W. Bush and followed by George W. Bush — Jeb would soon head north to the small New England town of Andover, Mass., to attend Phillips Academy. The school was, and is, among the nation’s elite. Established in 1778, it is the nation’s oldest incorporated boarding school. Generations of the nation’s wealthy, as well as those of more common stock, have sent their children to the school. The school’s seal, featuring a “hive of industrious bees,” was engraved by Paul Revere. Much work and much success, in other words, was expected of the young charges. But when Bush arrived in September 1967, the campus was struggling to cling to those centuries of tradition. Each student was given a 30-page book of rules and regulations, which included an elaborate system of demerits, postings, probation and expulsion. Bicycle riding was prohibited, and “misuse” of a radio was punishable. A student could be expelled if he failed to “conduct himself like a gentleman.” The all-boy class was required to dress in tie and jacket, attend religious services, and study for many hours each day. High-level classes were thrown at first and second-year students, and many who excelled at their hometown schools found themselves unable to keep up. Things started badly for Bush. He had completed ninth grade in Houston, but he was advised to repeat it at Andover. Still, he barely got grades high enough to avoid being expelled, he said in the interview. 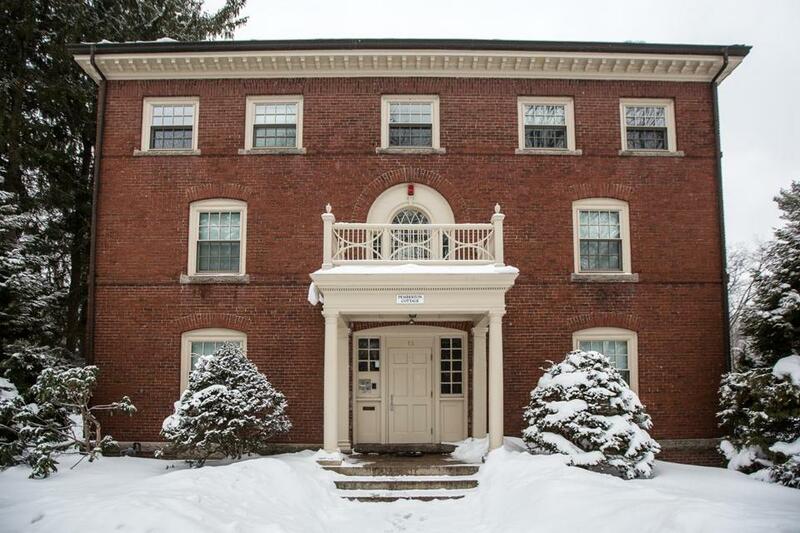 In the fall of 1968, the 10th-graders moved into a dormitory called Pemberton Cottage, a three-story red brick manse that housed about a dozen students, including the future governor of Rhode Island, Lincoln Chafee. (Chafee declined an interview request). The students divided into cliques of “jocks, freaks, and zeros,” as one classmate put it, and many classmates say Bush, with his taste for marijuana and his skill at tennis, straddled the line between jock and freak, never comfortably in either group. One of those who did get to know Bush in these early days was Peter Tibbetts. The connection, he said, was pot. The first time Tibbetts smoked marijuana, he said, was with Bush and a few other classmates in the woods near Pemberton Cottage. Then, a few weeks later, Tibbetts said he smoked hashish — a cannabis product typically stronger than pot — in Jeb’s dormitory room. “The first time I really got stoned was in Jeb’s room,” Tibbetts said. “He had a portable stereo with removable speakers. He put on Steppenwolf for me.” As the rock group’s signature song, “Magic Carpet Ride,’’ blared from the speakers, Tibbetts said he smoked hash with Bush. Bush previously has acknowledged what he called his “stupid” and “wrong” use of marijuana. In the years since, he has opposed efforts to legalize marijuana for medicinal or recreational use. In the fall of 1968, Jeb Bush moved into a dormitory called Pemberton Cottage (pictured present-day), a three-story red brick manse that housed about a dozen students. Tibbetts, who was eventually forced to leave Andover in the spring of 1970 after school officials accused him of using drugs, said his one regret about his relationship with Bush is that he agreed to participate with him in the bullying of a student in the dormitory. 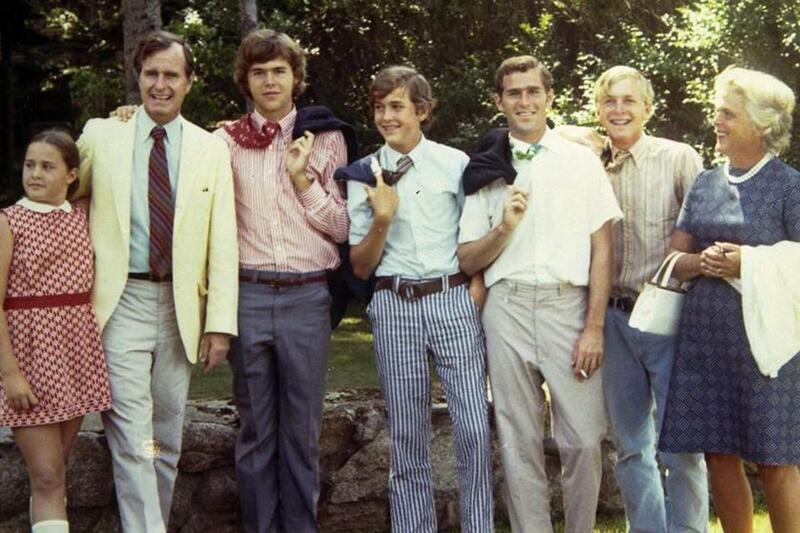 Bush, who would eventually grow to nearly 6-foot-4, stood out as one of the tallest boys on campus, which made him admired by some and feared by others, according to Gregg Hamilton, who was at Pemberton Cottage with Bush. To Hamilton, who would weigh 98 pounds on graduation day, Bush was initially not a friendly presence. 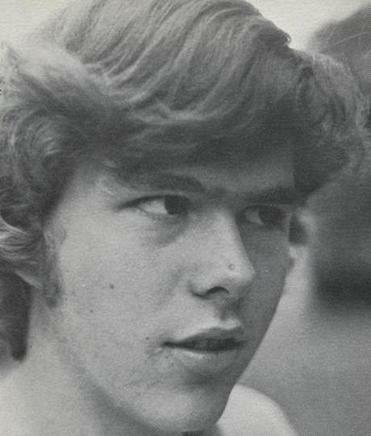 Jeb Bush is pictured in his 1971 class yearbook. In that classic novel, assigned to generations of high school students, a group of students is marooned on an island and soon fight among themselves over how they will be governed, descending into tribalism and savagery. A 2001 Vanity Fair profile mentioned in passing that a classmate considered Bush a bully, but these recollections appear to be the first detailed accounting of Bush’s actions. Other students remember Bush as intimidating, if not exactly a bully. David Cuthell, who thinks well of Bush today, remembers that Bush approached him one day in the school cafeteria, angry and ready to do some damage. “He sort of lifted me up in the air and I think was going to squash a grapefruit in my face,” said Cuthell, who said he was around 115 pounds at the time. Then a friend who was even stronger than Bush came to the rescue, lifting Bush away from Cuthell. As Bush struggled with his studies, and struggled to find his niche, the winds of revolution roiled the campus. In 1969, the midst of his 10th-grade year, students rebelled both against the school administration and the Nixon administration. At first the fight was over the length of hair, smoking cigarettes, and marijuana. John M. Kemper, a West Point graduate who had long served as Andover’s headmaster, was expected to expel students who were caught smoking pot once or cigarettes on a second offense. It escalated into a conflict over war and peace. Protests were being held against the Vietnam War, with posters of giant fists thrusting upward appearing on campus. As on many campuses, an antiestablishment agenda was promoted by some students; Bush wanted nothing to do with it. Bush’s father, of course, embodied the establishment; he was pro-war and a leading voice of the Nixon administration. 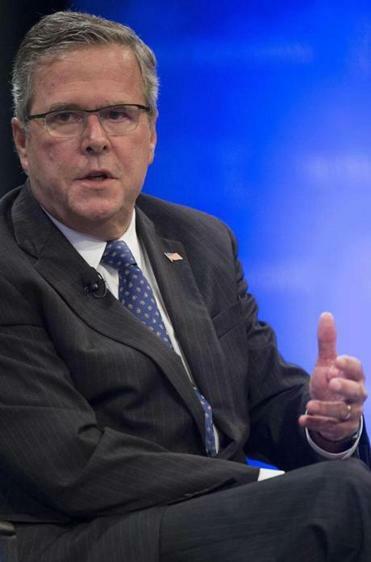 RELATED | Is New Hampshire (Jeb) Bush Country? There were some great instructors but also some who, in their zeal to shape boys into men, could go too far. In another case, an instructor became incensed when a student asked why he was so angry. “You want to see angry, I’ll show you angry,” the instructor said. He picked up a chair, threw it against the floor, “and broke it into pieces,” one of Bush’s classmates recalled. The student body had shown its anger, too. Students wanted more freedom and more interaction with the girls at nearby Abbot Academy. The student agitation against school administrators came to a head, in more ways than one, when headmaster Kemper declared that he would take on the job of hair “czar,” deciding whose hair would be forcibly trimmed. A history of this period, “Youth From Every Quarter,” written by instructor Frederick S. Allis, Jr., called this time the Andover “revolution,” with more tumult and change in a 10-year period than the previous two centuries. Some students called it the school’s darkest hour, Allis wrote. Such was the climate in which Bush was educated at Andover. Bit by bit, the administration gave way, abandoning the dress code, allowing students to grow long hair, lifting the requirement for regular attendance at religious services. Many parents and alumni were horrified — and their horror grew worse. 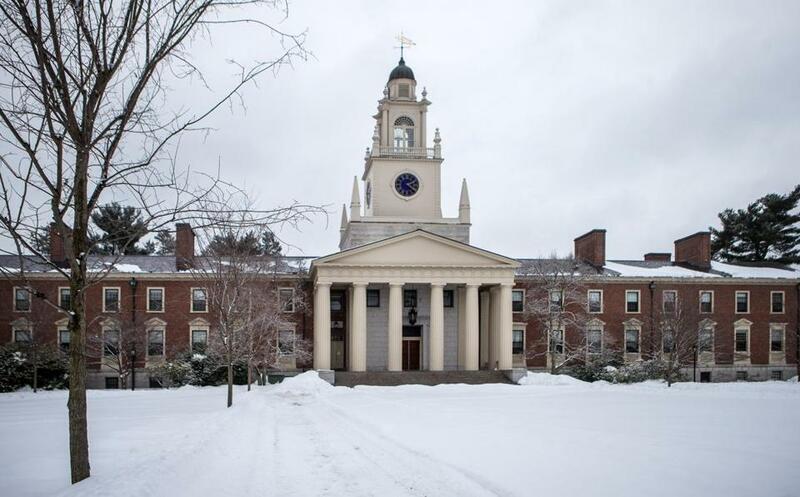 Samuel Phillips Hall at Phillips Academy in Andover. These and other stories prompted parents to inundate the school administration with complaints, raising fears about what was happening to their boys — concerns that certainly reached the ear of trustee Poppy Bush, who checked in regularly on Jeb. By the time Bush reached his third year, in the fall of 1969, his father was running for the US Senate on a prowar platform even as antiwar protests grew on campus. By the spring of that academic year, students across the country were rallying against US bombing in Cambodia, including a protest at Kent State in which four students were killed by the Ohio National Guard. At Andover, hundreds of students massed at Samuel Phillips Hall, hoisting placards with the word “Strike.” As students marched on the campus wearing black armbands, administrators canceled regular classes, hoping to cool tensions. Campus leaders tried to make it a teachable moment, inviting students to a series of discussions about the history of Vietnam and US involvement. To this day, some students say those sessions were among the most memorable of their time at Andover. Indeed, Bush wanted to get away from campus. In the fall of 1970, he enrolled in a class called Man and Society, which featured seminars on “poverty, conflicts (violence) and power structure,” according to an account in the school newspaper. One of the main readings was “Beyond the Melting Pot,” by Nathan Glazer and Daniel Patrick Moynihan, which argued that many immigrant and other ethnic groups closely held their group identity, contrary to the idea that everyone would meld into the proverbial American stew. At the conclusion of the course, students were given the option of spending the winter trimester either in South Boston or central Mexico. Bush chose the warmer locale. It was a decision that would change his life. The trip to Mexico was designed to introduce a small group of students to another world, a village with an indigenous population where Andover boys would help build a cinder-block schoolhouse. Bush said at the time, in an interview with The Phillipian, the student newspaper, that he went to Mexico to learn Spanish and study the culture. He was “impressed very much,” he told the student newspaper, when one of the local peasants broke down in tears as he expressed appreciation for the work done by the Andover students. But the greatest impression on the 17-year-old Bush was made by a beautiful, petite girl from Leon named Columba Gallo. Bush said he first spied her at a plaza and asked her out. “I literally fell in love with my now-wife of 44 years that Sunday afternoon in that plaza of Leon,” Bush said. However Bush met Columba, he finally had his focus. She was “the only girl he had ever dated,” Bush’s mother, Barbara, wrote in her memoir. He fell in love and, when he returned to Andover for his final trimester, continually wrote to Columba. The campus during Bush’s senior year seemed on two tracks: sports and antiwar protests. Much attention was lavished on the football team, which was on its way to the New England prep school championship. Bush, meanwhile, was a Big Man on Campus in more ways than one. He was captain of the tennis team, towering over his teammates and leading them to a 7-2 record in his senior year. “Captain Jeb Bush had a fine season” against “strong competition,” wrote a reporter for The Phillipian. 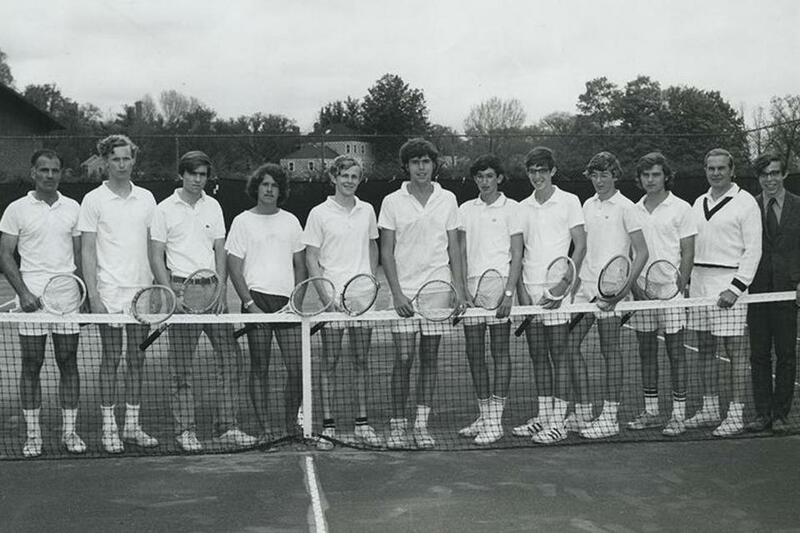 Jeb Bush (sixth from left) was captain of the tennis team. But sports faded into the background as new rounds of protests erupted on campus. Tension escalated further in February 1971, when a makeshift bomb was found in the Memorial Bell Tower. The 5-inch by 12-inch device included a cannister wired to a board, but officials determined the bombmakers “didn’t quite know what they were doing” and it was incapable of exploding. Amid news of this unnerving event, students took buses to Boston and Washington to participate in antiwar rallies, where they listened to John Kerry, the leader of Vietnam Veterans Against the War. Bush’s father, who had lost his Senate bid, was appointed US ambassador to the United Nations, where he would continue to argue for Nixon’s war policies — a fact that merited a front-page story in The Phillipian, which noted parenthetically that Jeb Bush was a senior. Meanwhile, two-thirds of the senior class, 160 out of 246 students, signed a petition saying they didn’t have confidence in the school administration and faculty. Bush almost certainly did not sign, according to David Lipsey, who organized the petition. Nor did Bush fight against it — he just stayed out of the fray, as he often did. Bush, even as he faced the potential of being drafted, wasn’t interested in participating in protest or politics. “When we returned to Andover, for our last trimester, Jeb didn’t hang out with the guys as much. He spent more time studying and spent hours on the phone with Columba,” said Bump, the classmate who was in Mexico with Bush. Bush today considers Andover the defining educational experience of his life. The student who once nearly flunked out said he made the honor roll in the final trimester of his senior year. He was awarded one of the school’s top honors, co-winning a history prize given for the best essay on “human liberty.” Bush received the prize at his graduation ceremony, at which the diplomas were awarded by his father, George H. W. Bush, Class of 1942. Bush attributes his turnaround largely to meeting and trying to impress Columba. “I was struck by lightning by my now-wife. I got smarter,” Bush said. Bush’s transformation surprised some of those whose initial perception had been negative. As Bush imagined a new life with Columba, the potential grew that he might have to go to Vietnam. Bush’s brother, George, had enlisted in the National Guard and never saw military action. For years, students entering college could count on getting a deferment from military service until they graduated. But after complaints that too many college students were able to avoid serving, Nixon signed a law that changed the Selective Service policy so that students entering college in the fall of 1971 — which would include Bush — could not count on getting an educational deferment from the draft. They could be plucked out of college as soon as an academic term was over. Bush received a draft number of 26 on a calendar-based scale that went to 365, earning him a “1A” classification that meant he probably would have been drafted if the war continued at full pace. But he avoided such a fate because the war was winding down — a fact for which some credit was due those of his generation who participated in protests that he had refused to join. Bush’s mother, Barbara Bush, once told United Press International that Jeb had considered declaring himself a conscientious objector, adding that the family would have backed such a decision. Bush said in the interview that he was “ambivalent” about the Vietnam War, and stood by a previous comment that he was “probably against” it, a view that he noted was shared by many of his peers. But he said he never considered being a conscientious objector. Unlike his brother George, who was a member of the National Guard from 1968 to 1974, Bush didn’t volunteer for any kind of military service. Nor did Bush follow his father and brother’s footsteps by going to Yale. He went instead to the University of Texas in Austin, majored in Latin American studies, graduated in an unusually speedy 2½ years, and married Columba. He left Phillips Academy far behind. It took years for Bush to return, at least in any manner that drew attention. He showed up in 2012, delivering an address that focused on his party’s effort to provide all Americans with “equality of opportunity.” Of course, as an Andover student, he was given an opportunity that few of his peers in 1971 could have dreamed about. Without that head start at Andover, and the motivation he finally found there to pursue his own life’s path, it seems unlikely that the 14-year-old from Texas who barely survived his freshman year could today be seriously considering a bid for the presidency.